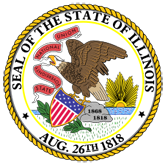 In this appeal, the primary issue we are asked to consider is whether the Illinois High School Association (IHSA), which governs and coordinates interscholastic athletic competitions for public and private secondary schools in Illinois, is a public body as defined by the Freedom of Information Act. 1. Better Government Assn v. Illinois High School Assn, 2017 IL 121124 (121124.pdf).